It is well known by many who have obtained home mortgage deals what happens as that initial deal matures. After the initial loan matures, the house owner owns a deal which reverts to the lender standard variable rate loan, or SVR. That mortgage typically includes a much higher interest rate. This higher interest rate naturally impacts the monthly mortgage payment and put the house owner immediately under a potentially massive amount of stress. The figures have been researched and analysed and results are clear according to the hard numbers. The example put to the test was a house owner sitting on a mortgage amount of £173,677. If that house owner allowed the mortgage deal to slide over to the lender standard variable rate for six months the resulting amount of interest paid would be £7,549. This is at an interest rate of 4.39%. But, another side of this arrangement could result in a different outcome. If the same house owner remortgaged to a deal with a fixed interest rate of 1.76%, interest paid for the year would be £3,102. That is a difference of more than £4,000. The difference is substantial, and this is just one example of one home owner obtaining a new deal after their initial deal had matured. SVR mortgage loans have always been comparatively higher in general, according to a number of housing specialists. But, with rates falling lately due to lower demand and Brexit uncertainty, a divide this large is becoming more common. 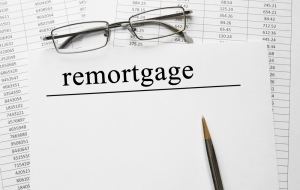 House owners are being urged by housing experts to consider a fixed rate remortgage deal. It could make a surprising difference to the entire financial landscape of a household looking to cut costs.